The Winners Are... | A Savings WOW! 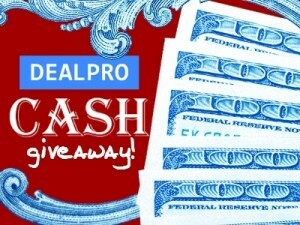 Congratulations to the winners of the DealPro Cash Giveaway! 2nd Prize – $150 in Cash – Michelle T.
3rd Prize – $100 in Cash – Casey W.
* The winners were selected randomly via Random.org. Thank you to everyone who entered!